I set a 12 month Goodreads Challenge in 2017 to read 37 books – more than I attempted in 2016, and I’m proud to say that I made reading a priority of my be-here-now focus and completed 40 books in 2017! If you’d like to read the best books I read in 2016 click here, and for more best books recommendations click over to 2013 and 2014 favorites posts. I’ve also written a Books I Love post, and would love to connect with you on Goodreads to share more about reading in 2018. Goodreads is my favorite place to keep track of what I’m reading, and to look up reader reviews for new books I’d like to add to my ever-growing shelf of ‘to reads’. With each book, I’m linking to Goodreads reviews/descriptions, and if I’ve written individually about a book, I’ll link to that post, too. I’m also adding my favorite quotes from the books – just for a little bonus! I also share monthly reads on my Happiness Hacks blog series – October’s post has a few titles you might enjoy. In no particular order, I’d love to share My ‘Best Books of 2017″ – and please respond in the comments if you agree, disagree, or have a title to share for 2018! I ALWAYS read the book before the movie – but in this case, I’ve been watching the Queen Sugar TV series and decided to read the book. I liked the story and the main character, Charley, but felt like I was constantly comparing it to the OWN TV series instead of reading it on its own merit. I loved the TV series, and feel like the novel’s characters were much less developed than in the show. If you can’t tell from the photo, let me say that meeting this author was a highlight of 2017. 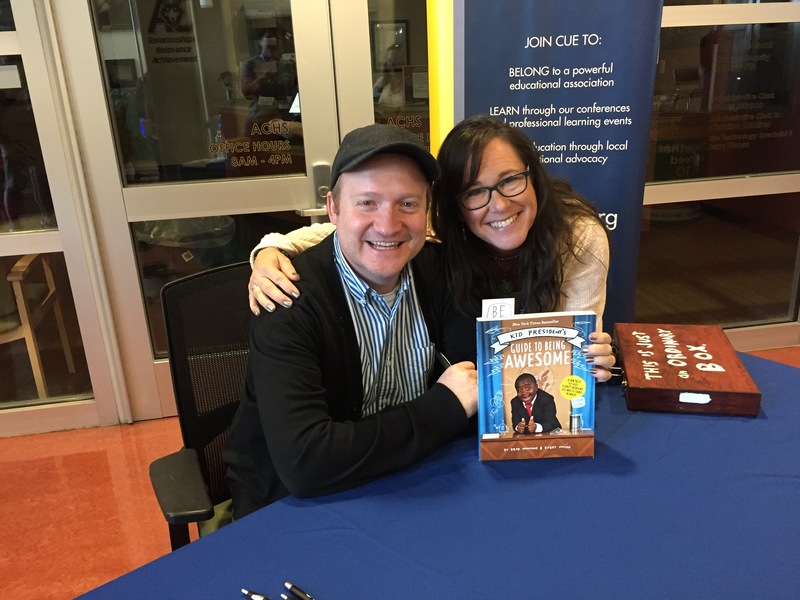 I’ve seen him speak several times (AMAZEBALLS) and his Kid President video series has been a staple in my classroom for years. He’s why my AVID classes do our Socktober sock drive for the homeless every year. He’s why we giggle and dance and think after watching Kid President videos. He’s why I proudly wear my “JOY REBEL” shirt, and this year, he’s why I’m reminding myself to find joy at home AND at school. This book is perfect for adults, kids, and would make a fabulous gift for anyone you want to share a little joy with. One of the best books! 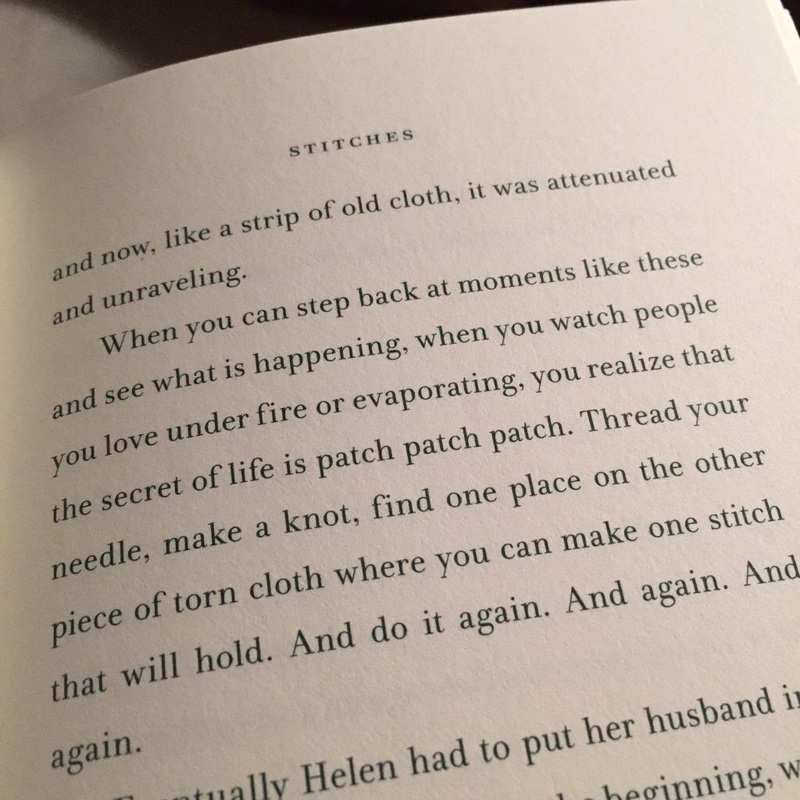 I loved Cheryl’s memoir Wild, so naturally, a book featuring her quotes on life caught my interest. It’s a fast or slow read, depending on how you want to use it – but the quotes will linger with you long after the last page. Another fun book to gift! I LOVE historical fiction. 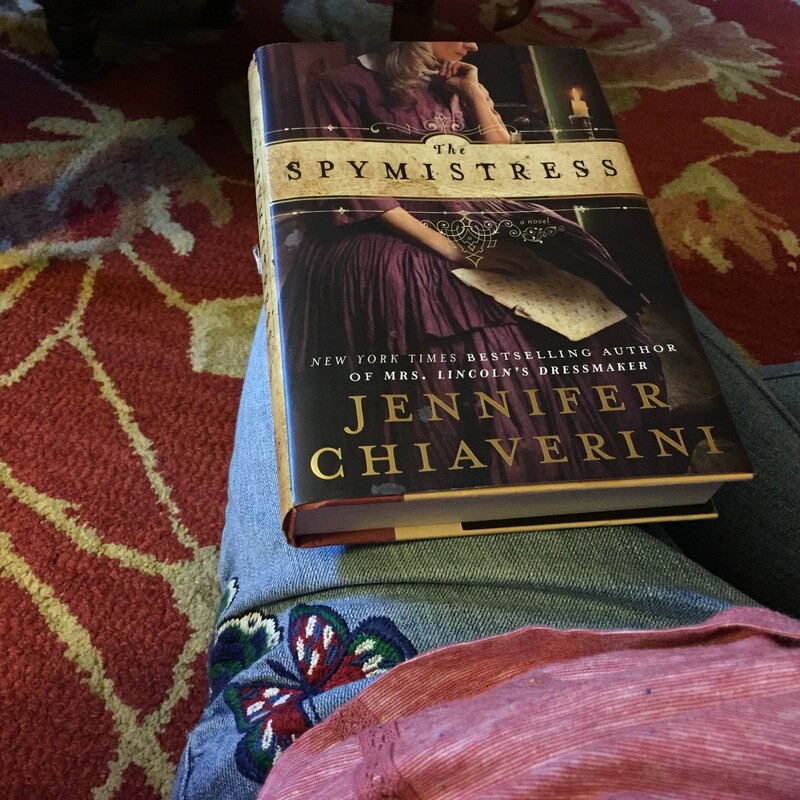 I’d say 85% of my reading is some sort of history related topic, especially when there are strong and intriguing female characters like in The Spymistress. This narrative, set in Richmond Virginia in the 1860s, shares the real-life story of Elizabeth Van Lew, a badass woman who stood up for what she believed in despite the consequences. I like those kinds of characters. If you do, too, you’ll enjoy this read. 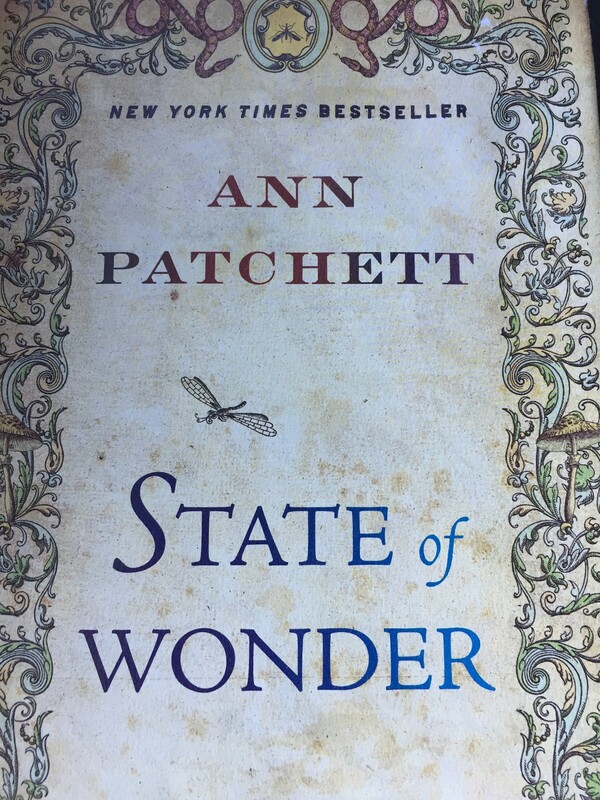 You can read more about this book in my September Happiness Hacks post. Speaking of historical fiction: wow- what an intriguing plot line to this book! Hannah’s writing was immensely readable and intriguing. I loved the narration twist and applaud Hannah for pulling the reader through which an expansive view of WW2. I loved the relationships – especially between Isabelle, an amazingly strong young woman battling for justice during WW2 to present and her father, a complex character attempting to protect his daughters to prove his love. 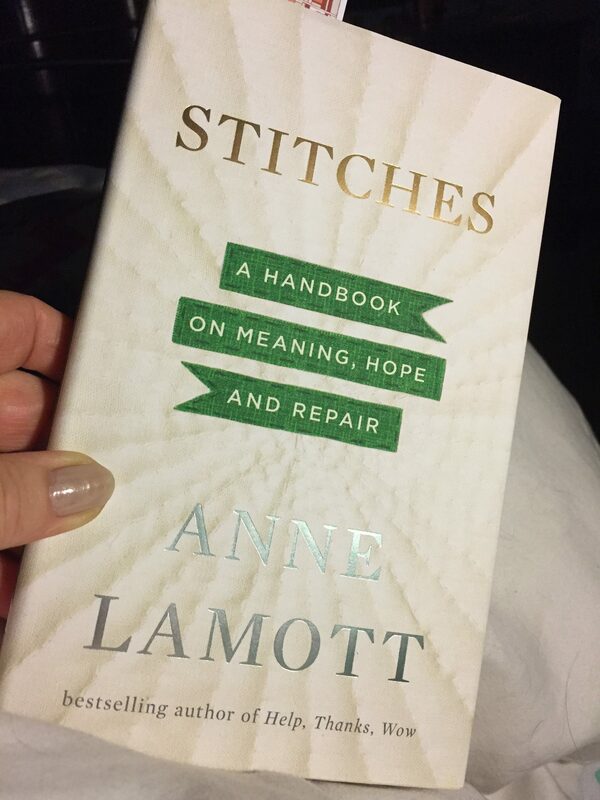 I wrote about this book in my November Happiness Hacks, as well as a few other titles I haven’t mentioned here. A powerfully honest historical fiction novel told in parallel voices about the abolitionist, suffragette Grimke sisters of Charleston, South Carolina living in the 1800s on their plantation, and the relationship between Sarah Grimke and her slave, Hetty “Handful” Grimke. This is Sue Monk Kidd’s first fiction in awhile, and it was entertaining and well-written. This was truly one of THE best books I read in 2017. An often difficult, yet breathtakingly written story to read that shares the brutality of slavery through the story of Cora, a slave on a Georgia cotton plantation, who decides to attempt the Underground Railroad passage after hearing of it from another slave, Caesar, who has just arrived from Virginia. This isn’t just another book about slavery – the author amazingly shares not only the story of slaves living in unbelievable oppression, but also ties into the reality of how this oppression has sculpted our American history and current society. You need to read this – there’s a reason it won the Man Booker Prize Nominee for Longlist (2017), Pulitzer Prize for Fiction (2017), National Book Award for Fiction (2016), Arthur C. Clarke Award (2017), and the Hurston/Wright Legacy Award for Fiction (2017) to name only a few awards. Watch a clip of Oprah talking about the book here: https://www.goodreads.com/videos/106773-oprah-reveals-new-book-club-selection. 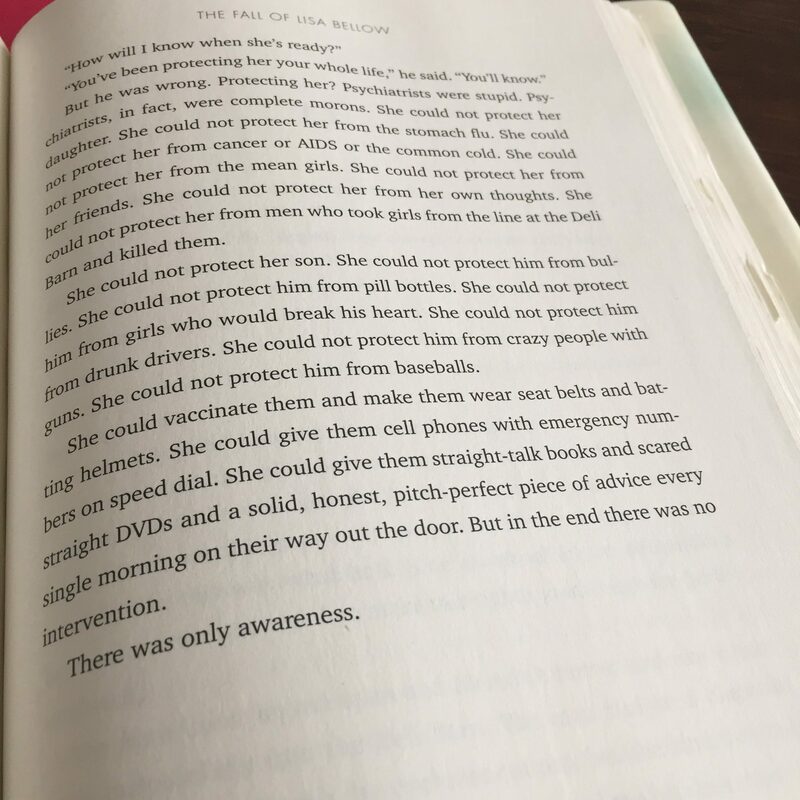 When I read the first page of The Fall of Lisa Bellow by Susan Perabo, I wasn’t sure it was going to be for me. Not only am I extremely picky about the novels I spend time with (have you seen my Instagram shelfie shots? It’s obnoxious how long my ‘to-be-read’ list is), but also I spend every work day surrounded by girls like the main character of the novel, Meredith Oliver. Meredith is a typically self-conscious eighth-grade girl. Now I love my job teaching 8th grade, but sometimes at the end of the day, I just want to escape into a novel nowhere near my real life. The summer months are my best times for plowing through my stacks of books to be read – and I made a good dent in August. Two of my favorites were by Dani Shapiro – her memoirs Devotion and Hourglass. Wow – I couldn’t get enough of either one, finding myself wanting to shout out loud, “Hey, me too!” on nearly every page. Dani just GETS it. Motherhood. Marriage. Womanhood. She’s a sage, in my opinion. Watch for more on her writing. 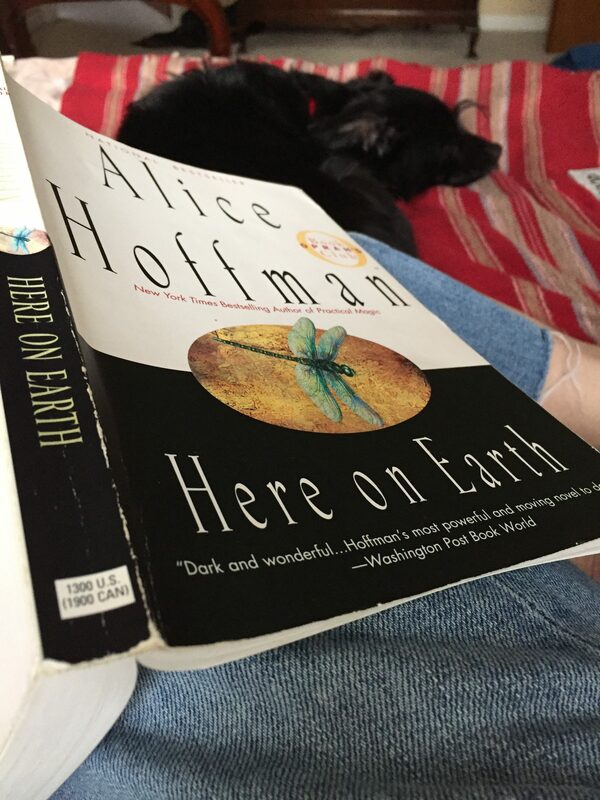 I was also on an Alice Hoffman binge this year ( I read three of her novels) – Here on Earth was a good read about marriage, love, motherhood and finding yourself – can you relate? This book was another one of my RARE five-star reviews. This story was mesmerizing- I couldn’t read it fast enough. Weaving love and spirits and culture of St. Thomas with Paris and art and Impressionism and race….beautifully written, alive with color and bursting with the sights and smells and textures of place. If you remember your art history, the name Camille Pissarro might sound familiar. This story tells the life of his mother, Rachel, growing up in St. Thomas in the 1800s. 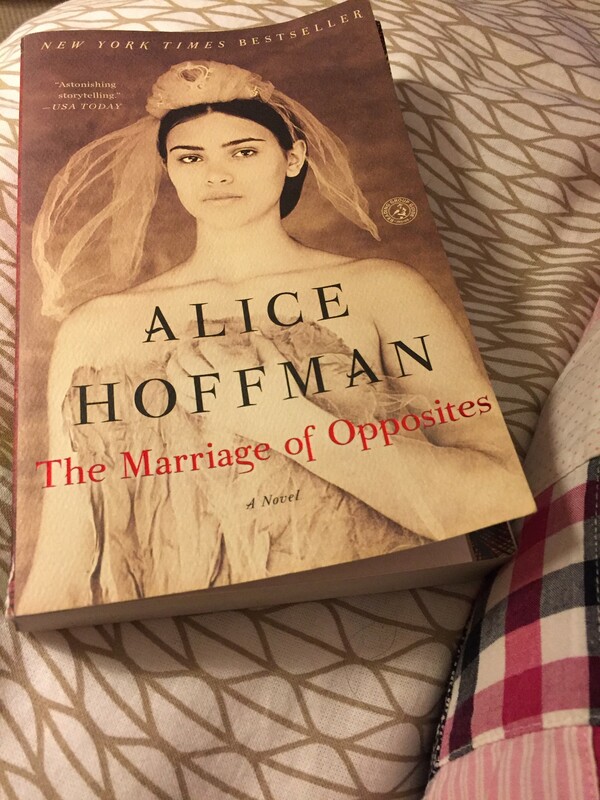 It is a love story, a historical tale, a story about marriage and motherhood and love and beauty blanketed with the exquisite writing of Hoffman, who spares no detail in helping the reader feel like the magic of the islands has jumped into their own reality. A surprise read was Garth Stein’s The Art of Racing In The Rain – it was one of those books I heard about when it first published but never got around to picking up a copy. Boy, am I glad I did – such an interesting narrative technique (it’s told from the point of view of Enzo, an almost human-like dog who seems to understand just what his owner needs), and if you’re a dog lover/owner, it’s a mmust-read Caution: it will make you cry. This last title of my best books was another hard one. I found myself recoiling at the graphic imagery, yet leaning forward into the narrative. It’s the kind of book that really made me think. 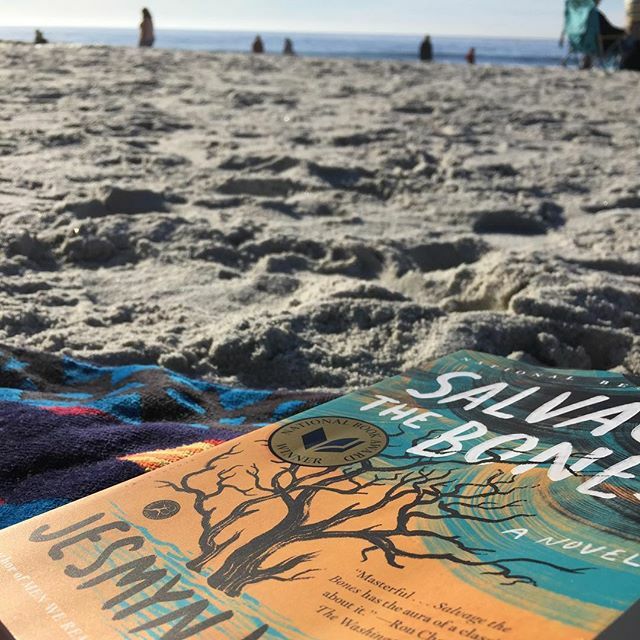 I originally I picked it up at the NCTE conference because I knew it was the precursor to Sing, Unburied, Sing, which I knew I wanted to read. This book, the winner of the 2011 National Book Award, takes place in Mississippi with a family struggling to prepare for Hurricaine Katrina – but remarkably the hurricaine dissolves into the background against the powerful narrative of Esch and her brothers, father, and the boy she loves who impregnates her early in the novel. It was a hard read – especially the parts about China, the family pit bull. I’m looking forward to the next part of the story in 2018. That’s it for 2017 – I read dozens of excellent books and hope we can keep talking about life and stories and happiness all throughout 2018! A great list of books! I’m always on the lookout for great new reading. Thanks for sharing this, I’ve shared it and pinned it. Rena, You’re welcome! What is your favorite book genre? Read anything great lately? I’ve read several of those books! But I did write to the author of “Running” to ask him, which didn’t seem authentic or flow w/ the story, why he beat Enzo. That really made me angry. Anyhow, I’m ordering Chery’s book now. Oh wow! I love that we read the same books! And how interesting that you wrote to the author of ‘Running’ – did he respond? What were your best books of 2017? Aren't You Tired Of Seeing People Die?